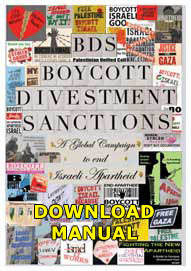 As the Boycott, Sanctions and Divestment (BDS) movement continues to grow, and thus Israel’s international isolation, one must remember that the boycott is an authentically collective Palestinian strategy that is rooted in history. The BDS debate is at such an advanced stage that it has indeed surpassed all expectations. A few years ago, many of us were attempting to push the boundaries of the debate, but were faced by so much resistance, even from groups and movements that were viewed as progressive. 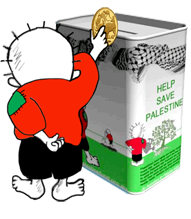 The situation has now changed in such an evident way amid constant news of western governments, companies and academic institutions either joining the boycott or deliberating the possibility of doing so. However, one ought to be reminded that the boycott is not an alien strategy invited by outside actors, as it is itself rooted in nearly a century long fight for Palestinian rights and collective self-definition, starting years before the state of Israel was established. A most prominent example was the mobilization of 1936, when in April 1936, all five Palestinian political parties joined together under the umbrella of the Arab Higher Committee (AHC), and gave a call for general strike on May 8, 1936. Employing means of civil disobedience — as exemplified in its cry of ‘No Taxation without Representation’ — the 1936 uprising aimed to send a message to the British government that Palestinians were nationally unified and capable of acting as an assertive, self-assured society in ways that could indeed disturb the matrix of British mandatory rule over the country. The British administration in Palestine had thus far discounted the Palestinian demand for independence and paid little attention to their incessant complaints about the rising menace of Zionism and its colonial project. The first six months of the uprising, which lasted under different manifestations and phases for three years, was characterized at the outset by a widely observed general strike that was essentially a boycott of working within and supporting the structures and mechanisms of British mandatory rule. The strike lasted from May until October 1936. Palestine was simply shut down in response to the call of the National Committees. Within a few years, Palestinians managed to challenge the conventional wisdom of the British, whose narrow racist grasp on the Arabs as lesser beings with fewer or no rights — a model to be borrowed and amply applied by the Zionists, and Israeli official policies later on — left them unqualified to ponder any other response to a legitimate uprising but by coercive measures. Starting in the 1920s and extending to the late 1940s, Palestinians and their leadership resorted to various forms of resistance, beginning with political mobilisation, and ending with mostly hopeless military attempts at defending Palestinian towns and villages as they fell before the Zionist military machine that was backed or facilitated by colonial Britain. But within that period, Palestinian society discovered its own inner strength as a collective by employing strategies that were predicating on a boycott of British and Zionist institutions. That sentiment grew rapidly after the Nakba, the great Catastrophe in 1947-48, through massive collective actions. 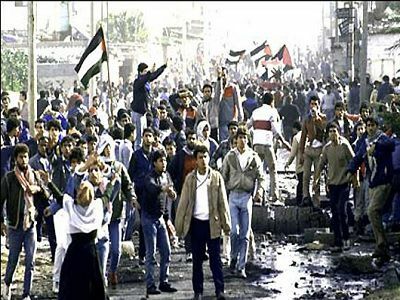 The First Palestinian Uprising of 1987 was a prime example of the continued rise of that political consciousness. While the Intifada is remembered for many events, notwithstanding Israel’s broken bones policies, and the killing and wounding of stone-throwing youth, some events are equally as important and profound. On September 19, 1989, a serene Palestinian town on the outskirts of Bethlehem became grounds for what seemed like a one-sided battle. Hundreds of armored Israeli military vehicles, and thousands of soldiers stormed the small town of Beit Sahour. Several military helicopters observed the fear-provoking scene from above, helping the numerous military men below coordinate their movements. On the other side, in the once restful, largely Christian-Palestinian town, residents remained home. No fighters in military fatigues awaited the arrival of the tanks at street corners. No guns. Not a semblance of armed resistance. But in Beit Sahour, true popular resistance was afoot. Indeed, Beit Sahour in 1989 was a focal point of collective action and boycott. It was a war without guns, like most of the activities carried out by Palestinians during the Intifada. The story of Beit Sahour, of course, didn’t start on September 19, but was a culmination of two overlapping histories. The first one concerns the first Intifada, and the second falls within a larger context of well-rooted history of popular resistance that spans several generations. Yitzhak Rabin, Israel’s defense minister at the time, wanted to teach the Beit Sahourians a lesson. For this reason, there was the exaggerated military crackdown and awesome show of force. Obviously, the message was meant to reverberate beyond Beit Sahour to reach every town, refugee camp and village in the Occupied Territories, which were all engaged in various forms of boycott and civil disobedience. Indeed, the events that took place in Beit Sahour were a microcosm of a much larger political milieu. We are once more witnessing another chapter of that same history. This time it is being written with the help of thousands of solidarity activists around the world. This time the boycott is global, and unlike Rabin’s tactics against Beit Sahour, Israel will no longer be able to isolate its enemies using tanks and helicopters. This time it is the one being isolated without guns or even a single bullet. - Ramzy Baroud is an internationally-syndicated columnist, a media consultant and the editor of PalestineChronicle.com. 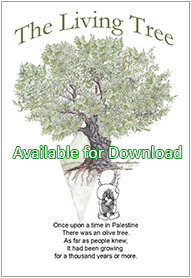 His latest book is My Father Was a Freedom Fighter: Gaza’s Untold Story (Pluto Press, London).